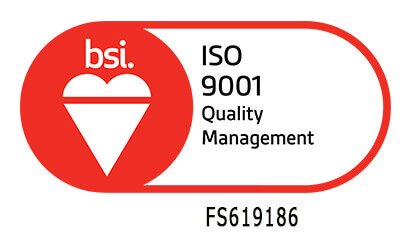 Direct Couriers are pleased to announce we have been awarded the coveted ISO 9001:2015 Quality Management Accreditation from BSI Group. The ISO 9001 Accreditation demonstrates our commitment to provide industry leading customer service and continuous quality improvements. While we've always been committed to quality in our services, this accreditation ensures a more productive environment in identification and resolution of quality issues. Our continuous auditing and assessments of our quality management systems will ensure our customers are always at the forefront of everything we do. ISO 9001 is an internationally recognized standard for quality management systems developed by the international organization for standards (ISO). This standard emphasizes a focus on a customers needs and satisfaction, as well as managerial oversight and a continual process of review and improvement. All offices in Australia and New Zealand have achieved the ISO9001 accreditation. This Management System scoping document, as well as the other Management System documents, outlines Direct Couriers' Quality Management System, which has been established in line with: • ISO9001:2015 –Section 4.3 Determining the scope of the quality management system The functions and processes of the Quality Management System are applicable to all aspects of Direct Couriers' operations, including those conducted by subcontractors on our behalf. The scope of the Quality Management System covers all of Direct Couriers' current business operations, namely: • Collection and delivery of parcels in metro (local), intra- and inter-State as well as international. • Operation of a transport parcel delivery fleet of vehicles in metro (local), intra- and inter-State operations In addition to the periodic review of the management system (the Management Review process), the management system scope will be revised as the business moves into new phases of business development, and operational and management system control procedures will be revised or added to as the nature of the business operations or technologies adopted by the business change. The Scope of our QMS will be communicated to the Interested Parties by the following process: Internal: 1. Online Induction Training; 2. Staff Internet; 3. Driver Intranet External: 1. Company Website and included in annual customer newsletters; Note: For Suppliers and potential new customers/ tenders– the scope will be available upon request. It can also be found on the company website. Exclusions: The following elements of ISO9001:2015 are not applicable to Direct Couriers as they are outside the scope of services we offer our clients and are consequently excluded from the scope of the Quality Management System: • Any reference to products • Any reference to design The Direct Couriers scope does not include our warehousing services.